With reaConverter’s latest edition you can automatically convert 3D STL files into 3D DXF, while customizing the AutoCAD release with which you want the output file to be associated. Add one or more STL images that need to be converted. 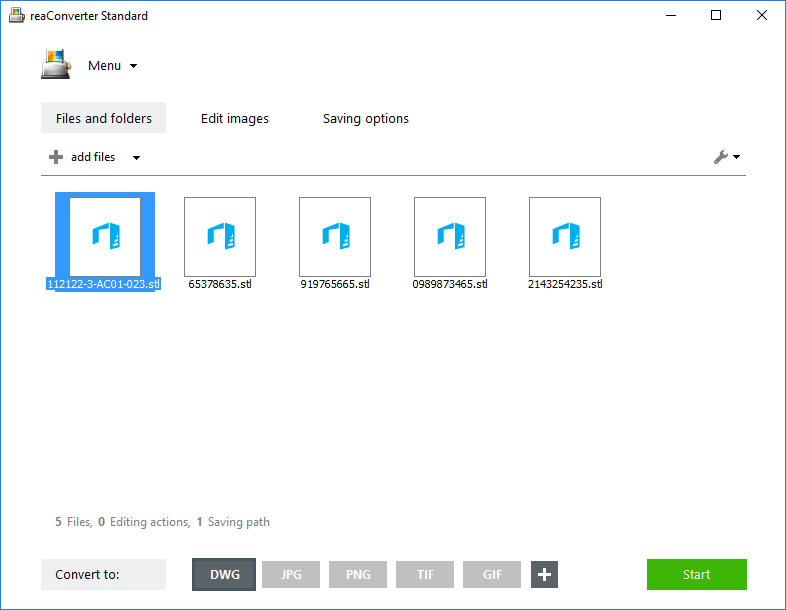 reaConverter allows you to handle groups of images fast and easy by offering you a handy drag-and-drop tool and the possibility to add entire folders. 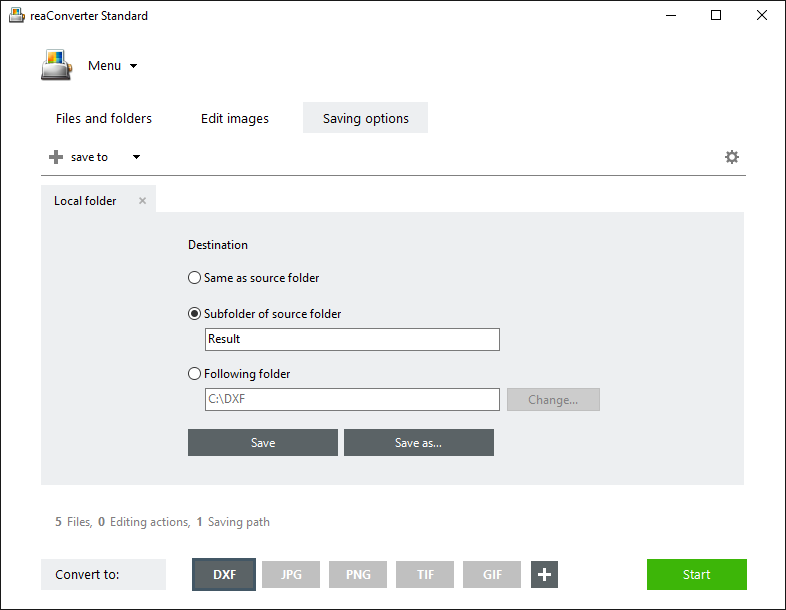 Plus, there is the Advanced file select option, by which you can automatically add certain files according to their size and/or extension from a folder with mixed content. 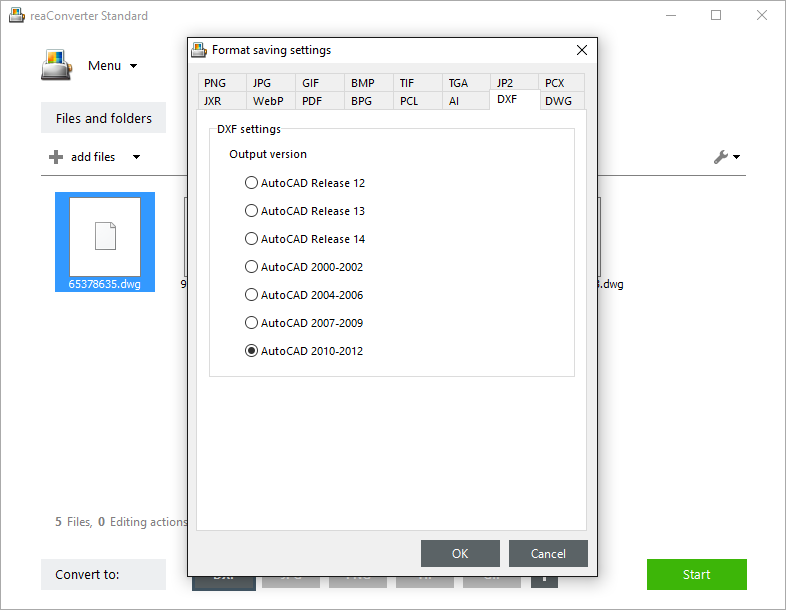 In the DXF tab here you will find a list with all AutoCAD releases supported by reaConverted. In the Saving options section, select a location for the output DXF files. Next, don’t forget to make sure the DXF button is checked in the Convert to area. In case you don’t see the button there, click Plus and get a full view of all the output formats supported by reaConverter. Then simply press Start and your newly converted DXFs will soon be ready! Advanced users can perform 3D STL to 3D DXF conversions using command line interface or DLL in manual, automated or scheduled mode. You are welcome to contact our technical support when you have any questions about reaConverter.